14" T-Bar is designed with a sturdy blue plastic that has water reservoirs molded into the product. T-Bar is also constructed with a soft safety orange ergonomic grip that features no slip ridges. 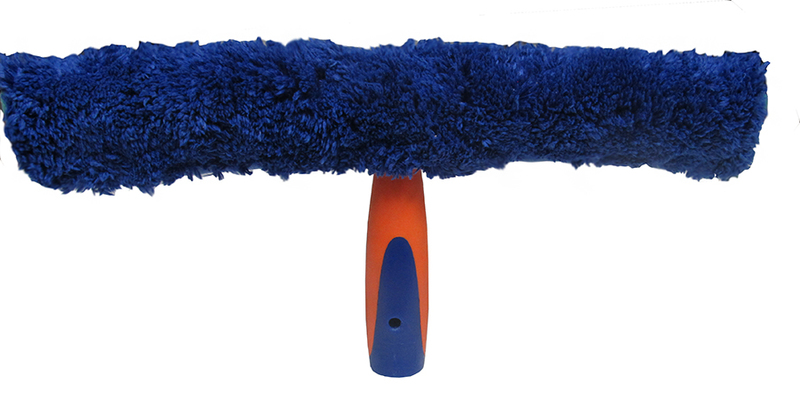 The 14" scrubber sleeve is a blue microfiber design that has built-in elastic inserts to prevent slipping on the T-Bar. The scrubber sleeve has a quick action velcro closure and is machine washable. Scrubbing pads are located on either end of the sleeve to assist with excess grime.